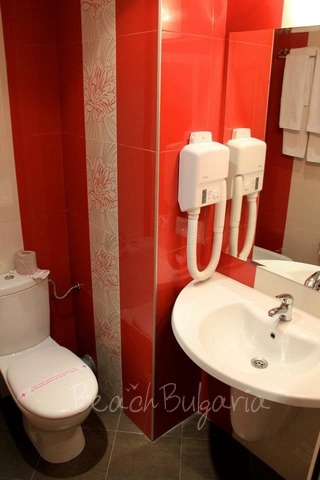 The hotel offers 27 double standard rooms (max 2 persons), 40 double rooms deluxe (max 2 adults + 2 children), 4 studios (max 3 adults + 1 child) and 3 apartments (max 4 persons) with kitchenette. The guestrooms offer LCD TV with cable channels, mini-bar, telephone, central air-conditioner system, bathroom with a shower-cabin, hair-dryer, panic button, spacious balcony. 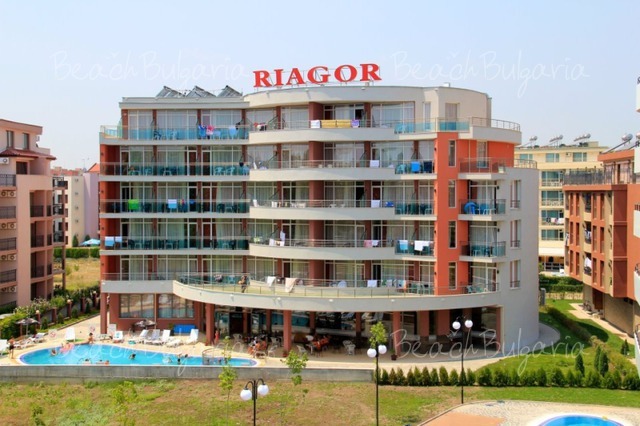 The hotel's restaurant serves Bulgarian and European cuisine. 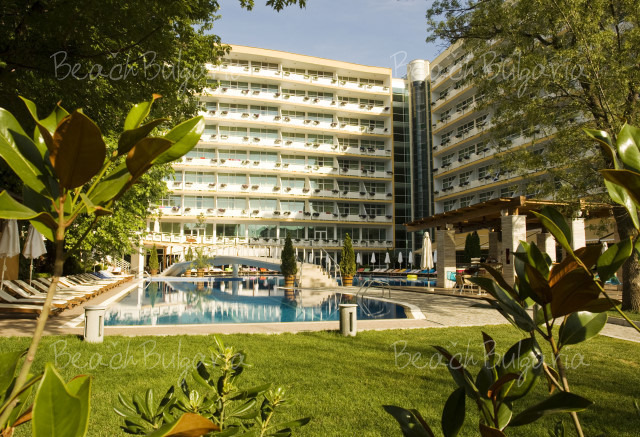 The hotel offers spacious foyer with lobby bar, as well as cafe and pool-bar. 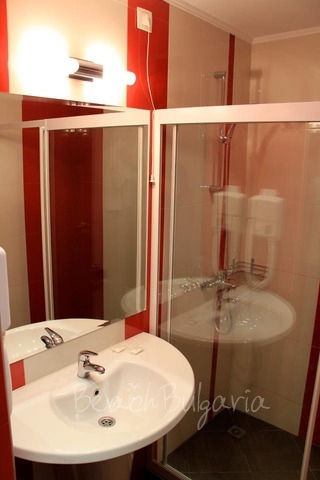 Internet, room service, 2 lifts, currency exchange, dry cleaning, shop, facilities for disabled persons, doctor, safe on reception, parking. 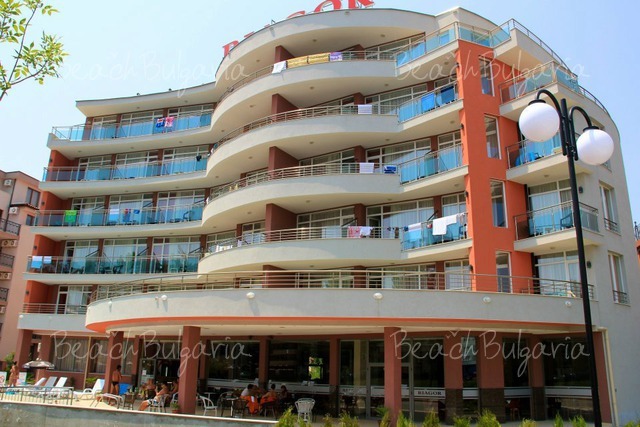 * The price is in Euro per room, per night, all inclusive. 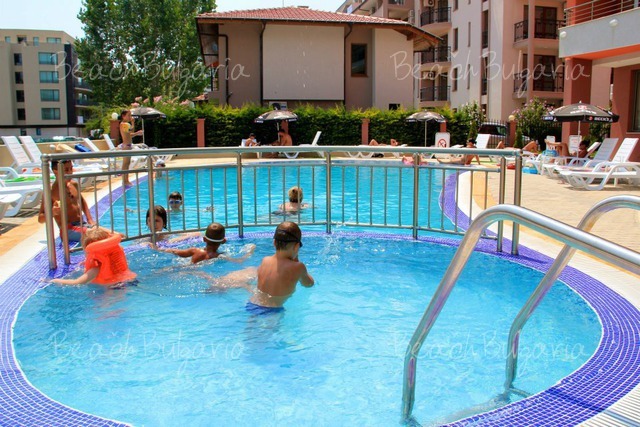 The price include use of swimming pool, parasole and sunbed. 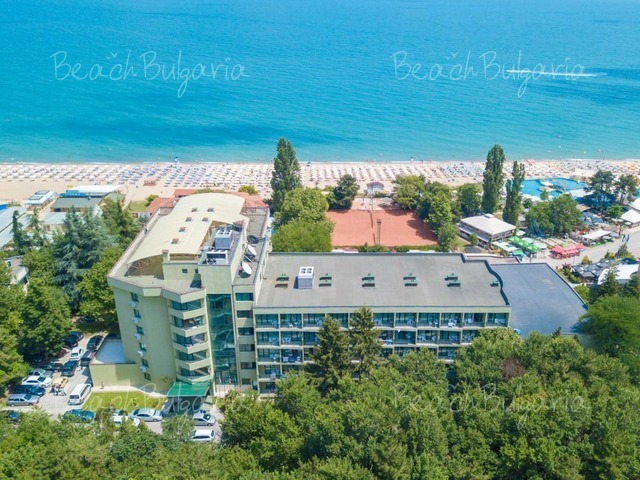 * Cancellations can be made free of charge providing details of this are received at least 7 days prior to check-in time on the day of arrival and 10 days during 05 July - 09 Септембер 2019 - cancellations made after this period will incur a fee equivalent to the cost of two night's accommodation. 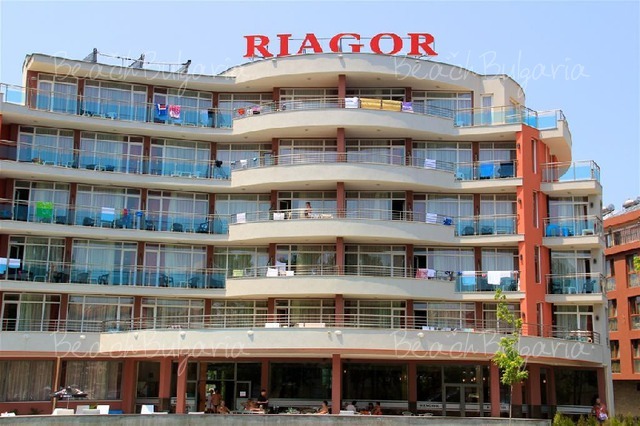 Please, post a comment on Riagor hotel.